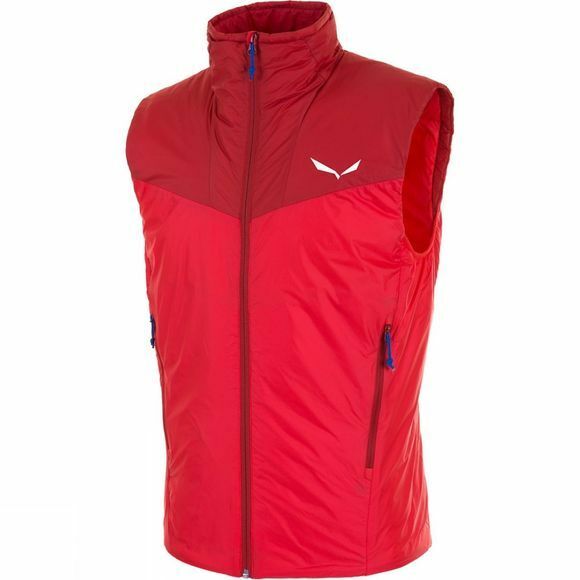 The Mens Ortles 2 PrimaLoft Vest from Salewa is a windproof and water–repellent vest. Its highly breathable and quick–drying PrimaLoft Silver synthetic insulation keeps you warm even when wet, while the lightweight, yet durable Pertex Quantum outer fabric is ideal for alpine use. Developed together with leading mountain guides’ organisations in the Alps, it’s designed to provide professional–grade insulation and functionality for activities such as alpine mountaineering, ski mountaineering, glacier mountaineering and ice climbing. The Ortles Insulation Vest can be worn alone on mild–weather days or as an insulating mid layer under an outer shell. Alternatively, it packs down small to serve as an extra layer during colder days.